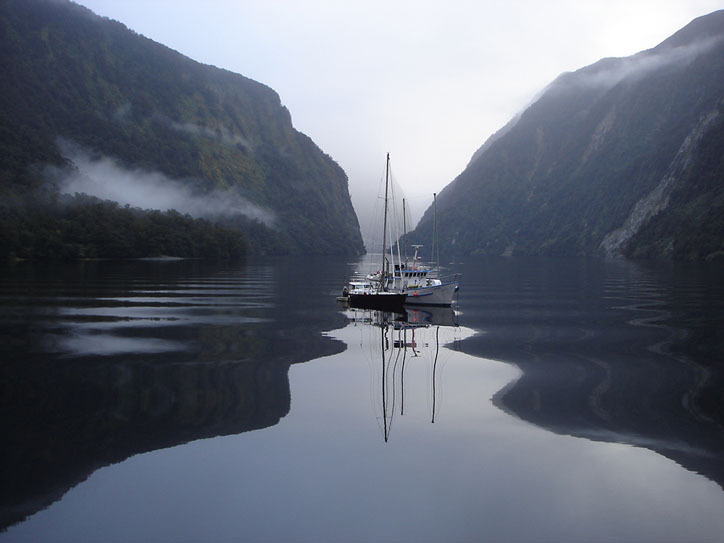 Few places on Earth can match the beauty of Doubtful Sound in New Zealand’s South Island. Set within the huge national park of Fiordland, it’s one of the most beautiful reasons to take a trip to New Zealand. Where else can you find penguins and dolphins swimming just a few metres away from waterfalls? Nowhere! Surrounded by cliffs covered with untouched rainforest, and accessible only by boat, this is a landscape like nothing you have seen before… We recommend that you book a spot on the overnight cruise to make the most of your adventure, although day trips are also available. 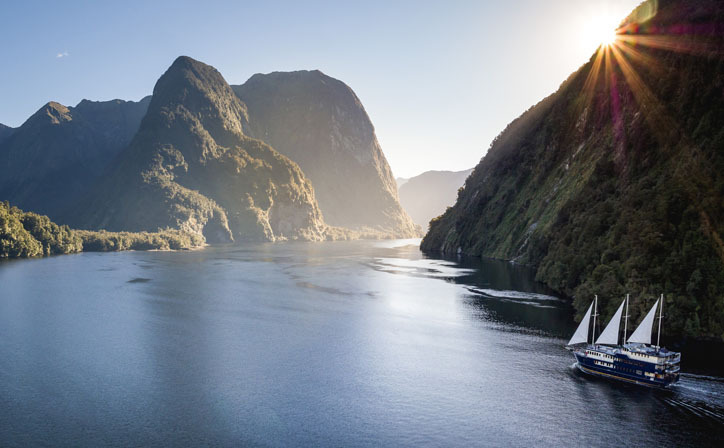 Read on for 7 reasons you should book your Doubtful Sound cruise today! 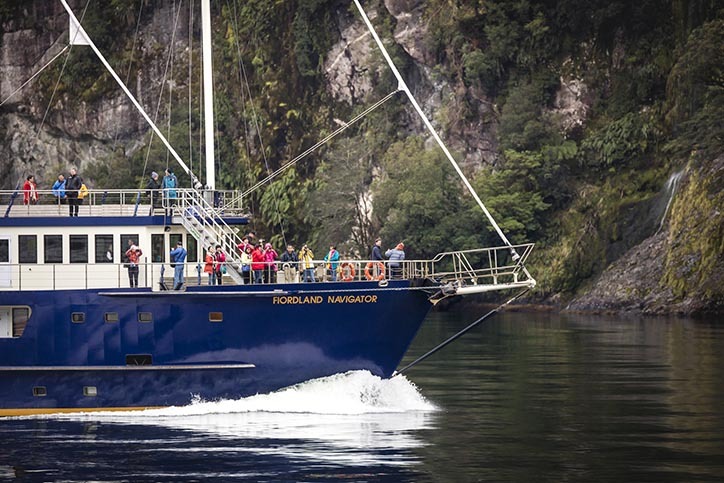 Onboard the Fiordland Navigator, the knowledgeable nature guides will elevate your experience with entertaining commentary on the native flora and fauna. Be prepared to bring your camera to ensure you can relive your experience and share it with friends back home, this is a trip you’ll be talking about for years to come. Like to get even closer to nature? Hit the water with an experienced guide and a small group for a kayak tour, or for the very brave, a swimming adventure! 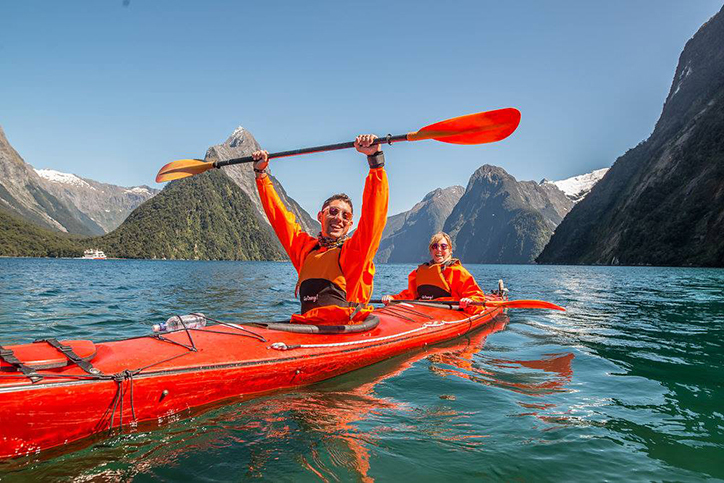 You’ll be paddling alongside pods of bottlenose dolphins, fur seals and even some penguins on a full day trip. There’s no experience necessary, and you can stop for a picnic lunch in one of the secluded beaches in-between admiring the sights of Deep Cove and Rolla Island. The scenery in Doubtful Sound is famously breathtaking. Lush green forests line the shores, and in times of heavy rainfall you’ll see waterfalls tumbling down the cliffs from over 600 metres elevation. This is one area that gets even more beautiful with rain! To top it off, you may even see whales – orcas, humpbacks and sperm whales have all been sighted in the sound on rare occasions. Milford Sound may be the most famous of Fiordland’s sounds, making it the most popular with visitors – but Doubtful Sound is quieter in every way and offers unrivalled tranquillity… your group will be the sole travellers… that means no helicopters buzzing overhead, no other boats on the water, you have the place to yourselves. The Māori name for Doubtful Sound, Patea, means “the place of silence”, and it doesn’t take long to see why – this is the untouched world. There’s not a town for fifty kilometres, and you’ll discover what’s meant by the “sound of silence”. Bliss! 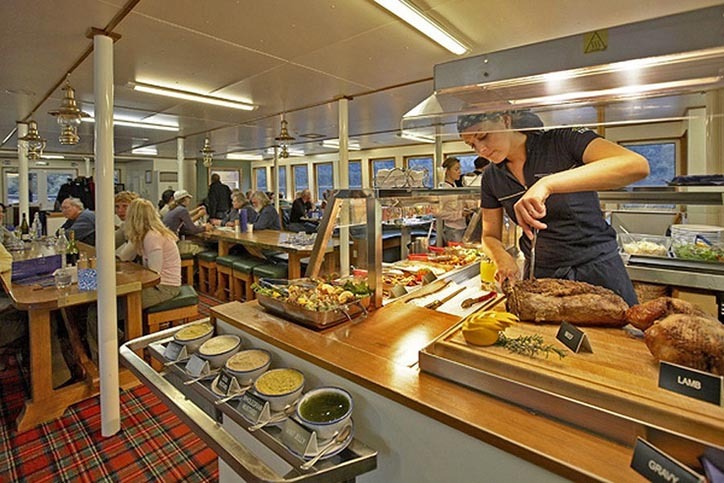 On board the Fiordland Navigator you’ll be treated to three course meals cooked by the chef, as well as breakfast the following morning. There’s also a host of excellent food options available in nearby Te Anau. Make sure you stop in for a famous Kiwi pie after your Doubtful Sound adventure… this is one holiday you’ll want to last forever. See a natural wonder during the day, experience the magnificence at night!